More than 5,000 Giay (pronounced 'Zay') live in 17 villages of northern Laos. 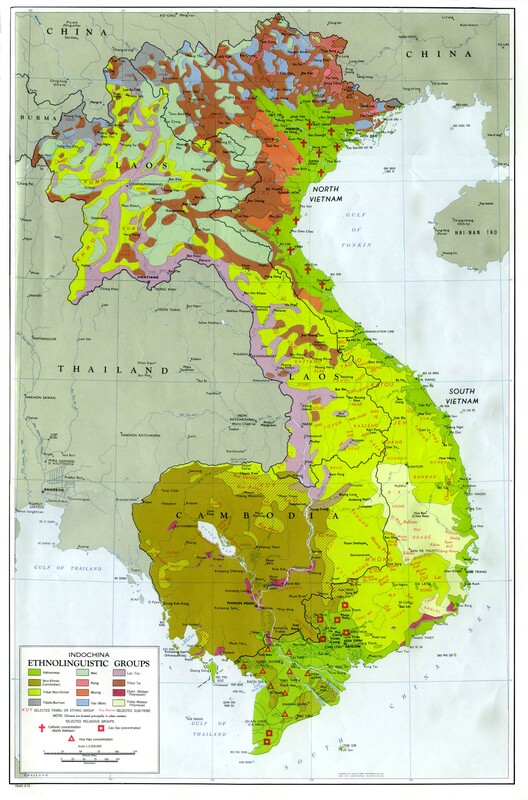 There is a great deal of confusion regarding the existence of the Giay in Laos. Some sources do not list the Giay, while others list the Nung, who are a large group in northern Vietnam. The Nung are not in Laos. The confusion is probably due to the fact that the Giay are commonly called Nhang in Vietnam, where they number more than 40,000. The majority of Giay live in southern China, where approximately 300,000 make up one of the subgroups of China's massive Zhuang nationality. A few Giay are known to have migrated to France and southern California as refugees. 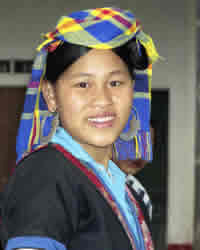 In northern Laos the Giay are scattered throughout three provinces. Nine Giay villages are located in Phongsali Province, six in Oudomxai and two in Luang Namtha Province. In many places the Giay live alongside the Lu, Tai Deng and Tai Dam. Because of contact with these groups many Giay also have some understanding of their languages. The Giay have reportedly lived in Laos about 200 years. They migrated from China, fleeing into Southeast Asia to escape persecution and harassment. Giay wives must obey their husbands, unmarried women must obey their fathers, and widows must obey their sons. Giay women prefer to give birth in a squatting position in a room where an altar has been erected to ensure the spirits oversee a favorable birth. The placenta is later buried beneath the woman's bed. Each Giay village has a 'forbidden forest' where the biggest tree is considered sacred. Twice a year worship of the spirit of the village is celebrated at the foot of the tree. The Giay believe the universe is comprised of three separate levels. The upper level is the abode of spirits and the souls of the deceased. The middle strata contains humans, animals and this world, while the lowest level is situated under the earth. Few Giay have heard that Jesus Christ died for them. They are trapped in superstition and fear of evil spirits. There are no strong Christian communities near the Giay in Laos. * Pray for a spiritual breakthrough to occur soon among the forgotten Giay people of Laos. * Ask God to raise up intercessors and churches focused on the Giay. 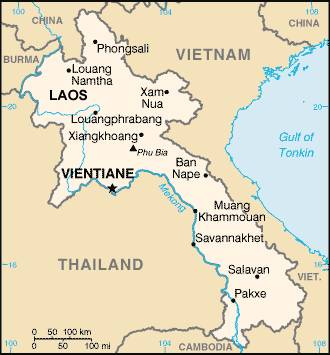 * Pray the Holy Spirit would direct Christians in Laos to focus on the Giay and plant churches in their midst. * Pray for completion of Bible translation in this people group's primary language.View Giay in all countries. Location in Country: Phongsali, Oudomxai, and Luang Namtha provinces. 17 villages.